Melbourne [Australia], May 11 (ANI): American actress Patti LuPone has slammed Madonna's acting skills by calling her a "movie killer". 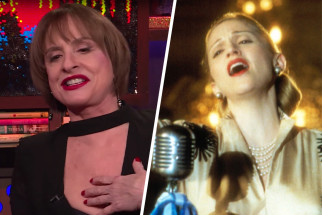 The 'Broadway' legend appeared as a guest on Bravo's 'Watch What Happens Live With Andy Cohen' on Tuesday. The 68-year-old said Madonna is a movie killer. "She's dead behind the eyes." "She cannot act her way out of a paper bag. She should not be on - in film or onstage," she added. LuPone, 68, won a Tony Award for her portrayal of Argentina's former first lady with Mandy Patinkin. In fairness to Madonna's acting, she did win the Golden Globe in 1997 for Best Actress. "She should not be in film or on stage," she said. "She's a wonderful performer for what she does, but she's not an actress."